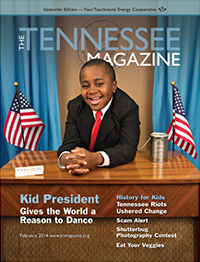 The Tennessee Magazine has the largest monthly circulation of any publication in Tennessee. It is a popular communication vehicle that is mailed to owner-members of electric cooperatives across the state. The magazine keeps readers abreast of energy issues, legislative activities and offers regular food features, human-interest articles and editorial columns.